“If I Had a Dollar” is a series that highlights one userful or entertaining app per week that costs less than $1. Skip your vending machine soda and try some new apps! Happy Halloween! Because it’s the holiday that honors all of the creepy things that go bump in the night, it only felt right that I should spend my dollar on a top-notch horror game. 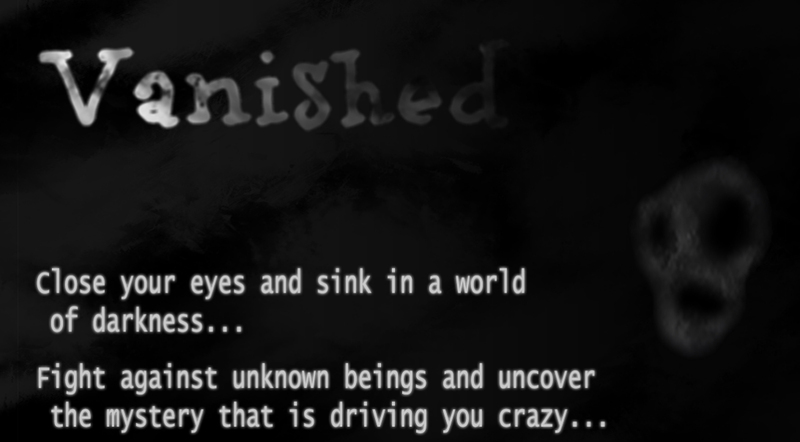 While I weighed a few options, I couldn’t ignore the sheer terror of a game called Vanished. There are no graphics in Vanished — the player must plug in headphones and listen carefully to the environment in order to progress through different levels, searching for familiar sounds amid white noise. In between levels, there is simple narration, which tells the story of waking up disoriented in a world without any light. Even worse: you’re not alone. To say this game is scary is a bit of an understatement. I won’t lie: I don’t like being scared at all. I avoid pure horror movies, refuse to set foot in any haunted houses, and have a hard time playing traditional horror games, much less ones that leave me completely powerless against monsters. But Vanished takes it once step further by robbing you of your ability to see what’s around you — and encourages gamers to play with their eyes shut. Needless to say, fear set in almost immediately. From the first level, it’s clear what noise the game wants you to follow. Moving around — accomplished by dragging a finger in any direction across the phone — is disorienting at first, but that’s the point. The audio cues in the game ratchet stress up very quickly, complete with ominous rumblings and startling random sounds. The worst, of course, is when a noise can be clearly identified as something else: the heavy breathing of the patrolling, unseen monsters is unmistakable, and the fear creeps up as they come closer. There is a weapon in the game, a knife controlled by shaking the phone, but it takes time to recharge. The options are limited. As a smart piece of storytelling and a quick way to get a horrific thrill, Vanished accomplishes a lot with very little. It’s a smart horror idea that leaves the real fear to the imagination, which makes it much more powerful considering its relative simplicity. And, for what it’s worth, this scaredy cat is still left shaking. Vanished is available for $0.99 on iTunes and the Google Play Store. Wow, will defo check this game out!! !